April 20th - Back at Market with Plants! 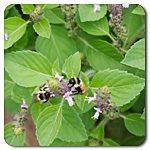 WeeBee Farms grows plants that are completely safe for pollinators. NO chemicals from seed to soil to growing. We started seeds on Feb. 1st and have been hardening our plants off so they are truly garden-ready. 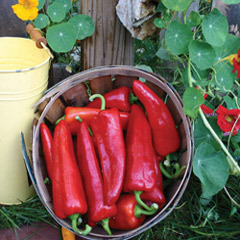 Our Veggies and Herbs Tested for success in our own gardens and many have been grown for 20 years here. 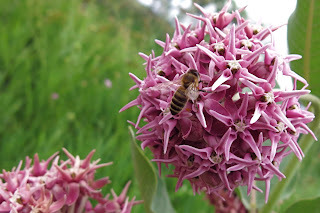 Our Flowers Chosen for hardiness here in Boulder County and their attractiveness to pollinators. 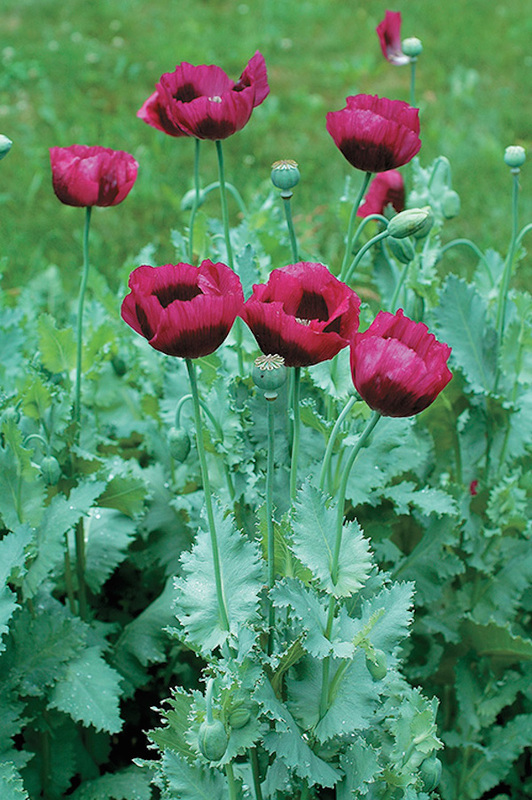 These will be sold starting in a week or two with Hummingbird Mixes, Bee Mixes, Poppies, Sunflowers and many, many types of flowering herbs, annuals and perennials. 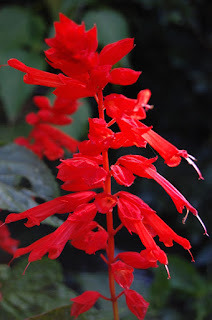 I am a beekeeper and have over 20 years experience with plants for bees and other pollinators. I also photograph pollinators on flowers and get to know the favorites of bees, butterflies and moths up close. 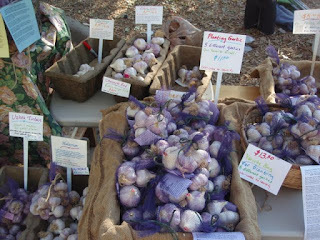 Garlic at Winter Market on Sunday! 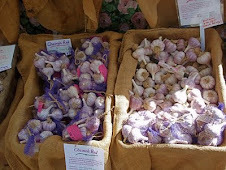 I finally finished planting the garlic today, and have some left over to sell at market. 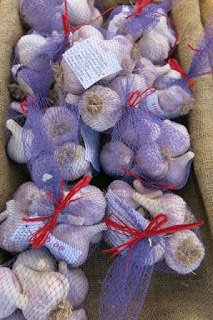 On Sunday (not Saturday) I'll be at the Winter Market with just garlic. It's open from 9-3, and I may sell out before the end since I don't have a lot. I'll be in a small space to the far right of the music stage and not far from Silver Canyon Coffee and the other farmers. I'd love to see you there! My art (photos of pollinators) is for sale at Harlequin's Gardens Holiday Market. 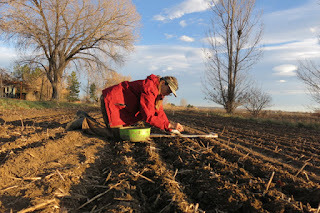 Planting Garlic - better late than never! I have a tradition of planting the last of the garlic on Thanksgiving morning. Generally it's a warm day and I just have a bit more to fill in some gaps. 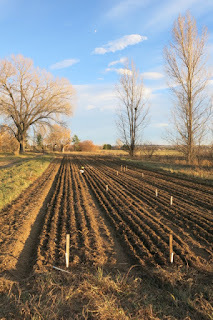 This year with snow coming every weekend it was hard to find a time when the soil was dry enough to plant. planted up to the beautiful sunset time! dry enough to plant (and some friends cooked dinner!) And the next day I planted all day in the high winds to take advantage of the drier soil before the next predicted snow which never materialized. This week I was able to finish up and enjoy the prospect of a snowy weekend coming. 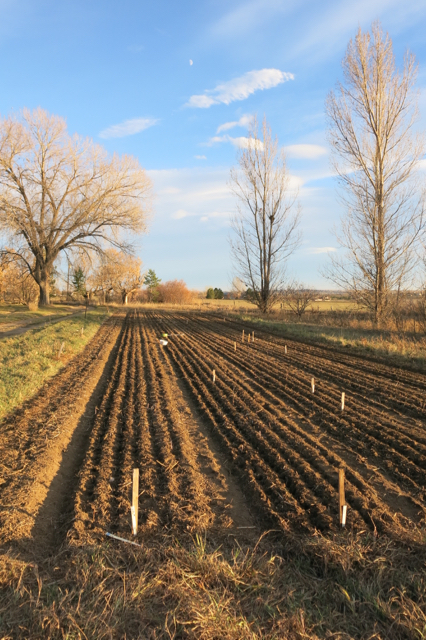 Longmont date • Garlic Storage • Stay healthy with garlic! There are some larger heads for eating or planting - about 4 kinds. 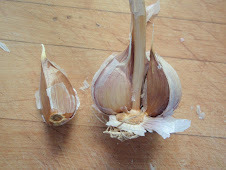 And 3 types of regular size garlic that is strong, tasty and great for cooking. And some small/ medium garlic that will store a while. 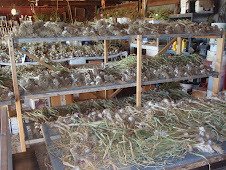 In fact most of the garlic will store until December or through the end of December. 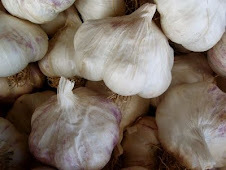 • Garlic Storage Be sure to keep your garlic in a paper bag if you want longer-term storage. You can keep it in the fridge in the paper bag, but keep in mind it will start to sprout as soon as you take it out. You can squeeze your bulbs to check for signs that it's time to use it up. If cloves are going soft use those first. You can rehydrate them in some hot water (or soup!) to use if they are drying out. • Use your garlic to stay healthy! Look at the top right section of this blog page, click on "Pages" and select the page called "Health Benefits of Garlic". Our family has had great results using garlic mixed with honey for treating colds and sickness. 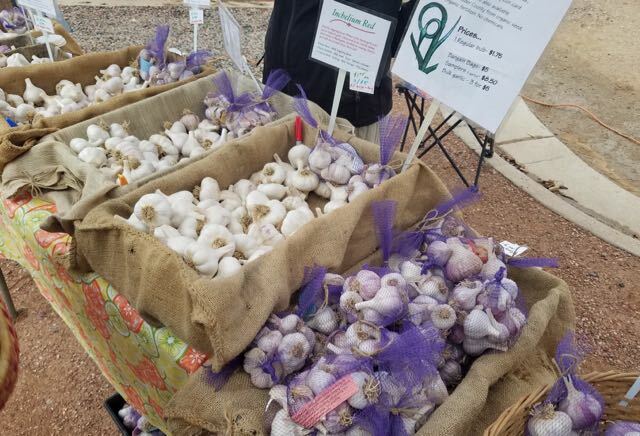 It looks like we have enough garlic left to sell for this Saturday and next. We should have a decent amount each week before selling out. 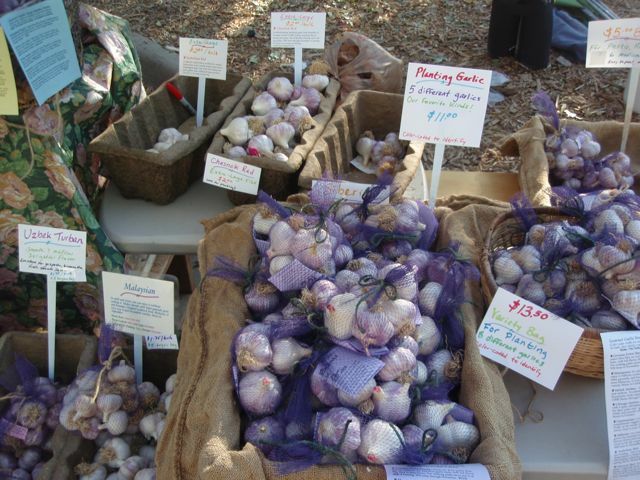 If there is garlic left over on the 29th we may be at the Longmont market on October 6th. Check back here to see. Come see us in Longmont on the15th. This will likely be the only day we will be in Longmont but check back on the blog to see if we will come to Longmont another time. 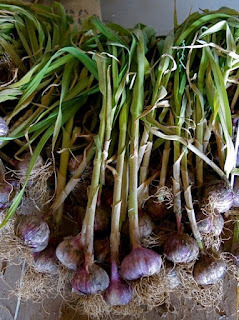 How I wish I had a giant barn full of garlic still, but the reality is that Spring troubles have meant less garlic than usual although what I have looks great. Come and get it while you can! If we have enough garlic to sell on Sept. 29th I will post it here, so stay tuned. 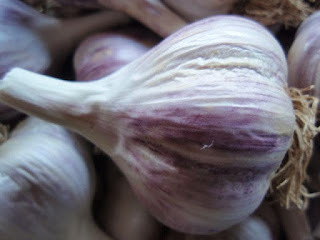 For seed garlic I suggest buying now from the regular bins and using those for planting. I will have some larger bulbs available which you can ask for as well. I will make up some "planting bags" but won't have as many as previous years. Also be sure to use your own seed to plant if you can. That is the best plan of all! Garlic for Sale August 4th! The garlic is finally ready to sell and we look forward to seeing you on Saturday. This years' harvest was fairly good considering the challenges we had during the Spring (cutworms eating the garlic and other issues). 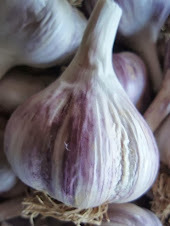 Most of the types of garlic turned out to be a good medium size and looks pretty. 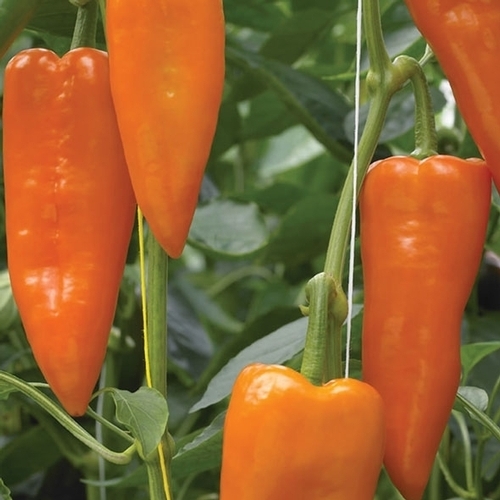 This upcoming week we will have several kinds to sell including Tzan (Mexican Red), Persian Star, Chesnok Red and German Extra Hardy. We look forward to seeing all our favorite garlic aficionados again! There is some construction on Arapahoe, but if you park at the RTD garage and walk over from the North it shouldn't affect you too much. When do I harvest my garlic? Quick answer: When half the leaves are brown. 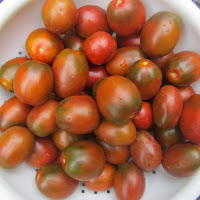 Harvest- Dig up when half of the leaves are brown (including the bottom leaves which have fallen off), usually June 25- July 10 for me. 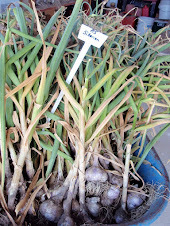 "Turban" garlics such as Tzan and Shantung Purple are usually ready 3 weeks before the rest (June 15 or so). 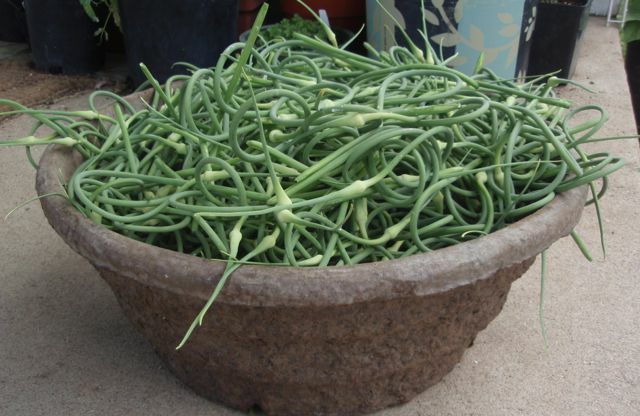 When harvesting, remove the biggest chunks of dirt from the garlic by giving a gentle twist to the dirt clump. I leave on the roots and stems. After harvest shade immediately. Hang or put on ventilated shelves for 3 weeks to “cure” with stems on. They must have good air circulation and shade. How To Store- Clip off the stems after they are cured. Store at room temperature or cooler, out of direct sunlight. Cool basements and garages can work well for storage. The bulbs need air circulation, but storing in paper bags is recommended for long-term storage to keep them from drying out too much. Many people have luck storing in the fridge in paper bags. Hardnecks generally store up to 5 months. Softnecks up to 9 months. Turbans stay firm til December or January, but send up random sprouts starting in November (still great to eat). Garlic that has been in the ground too long will start to lose the skins and will not store as long but is otherwise fine. Cleaning- After curing just rub off the dirt, and maybe one layer of dirty outside skin and they will look gorgeous. 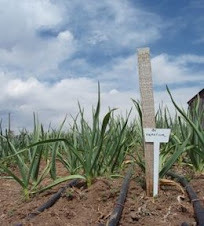 Note from 2018- several types of our garlic have been harvested already as of July 3rd. The cutworm damage we had in Spring made it smaller which made it dry out quicker, and the recent hot weather also sped up the ripening process. More updates later! 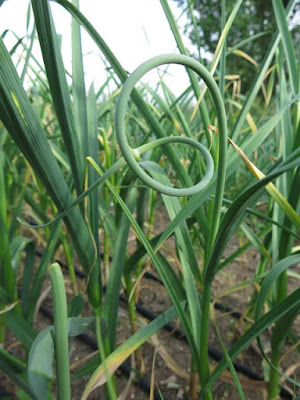 Scapes Galore! Veggie plants for sale. National pollinator week. Last week til August 4th. 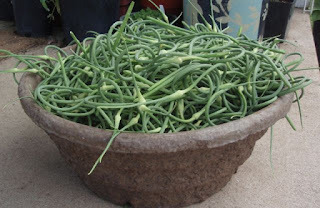 We have lots of curlies- otherwise known as garlic scapes- to sell this week. We harvested the last batch yesterday while they are still young and tender. How to use cooked: Put in your eggs, beans, potatoes, pasta, soup, stir fry, burrito. Sautee for a minute, add salt and serve as your pasta topping. You may want to cut off the bottom part if it is tough, and the tip. 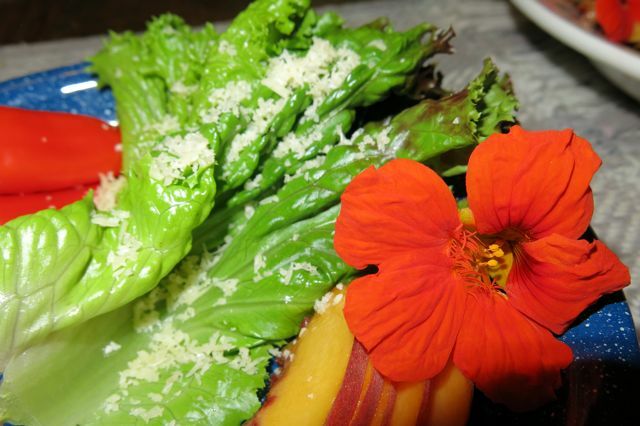 You can use the flower part in your food if you like. They are great grilled whole too! How to use raw: Slice thinly and add to a green salad, potato salad, hummous, tabouli, tuna salad, dips. Make pesto (puree with olive oil and salt) and spread on bread, sandwiches, pizza crust. Scapes will store for 2 months in the fridge in a plastic bag!! We will have generous bags (about a handful) for $2.25 (or $2 if you bring your own bag). Come get them at the Boulder Farmer's Market this Saturday! The garlic harvest will start next week so we will not be at market again until August 4th. 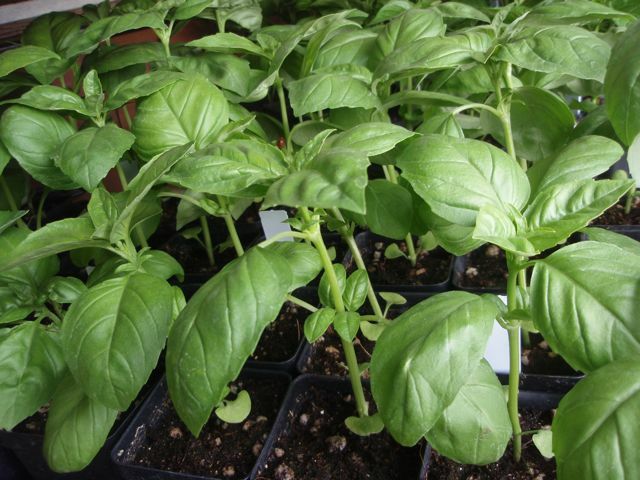 We'll also have some tomato, basil, pepper, cucumber plant and a few other plants for your garden. We specialize in selling plants for pollinators- come celebrate National Pollinator week with us. 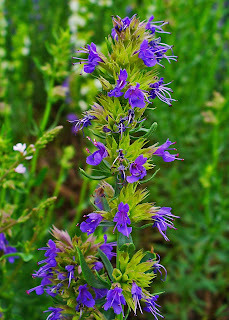 Bee friendly plants from organic seed, no chemicals, especially grown for pollinators and flowering beauty. 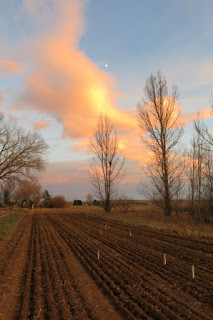 Come get your plants at the Longmont Farmer's Market this Saturday or in Boulder. Creekfest is happening in Boulder. 8-10 is the nicest time to come if you don't like crowds. We will have lots of Tomato and Pepper plants. 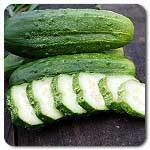 Basil, cucumbers, zucchini, herbs, flowers greens and much more!!! Why is some garlic labeled Not For Planting? Our favorite summer cover crop! WeeBee Farms - Are we organic? At the farmer's market, we are not allowed to call ourselves organic because we are not certified organic. However, we have been growing by organic standards since 1996. 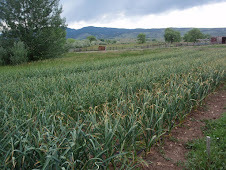 Our garlic fields have not had any chemicals since 1993 when we moved here. 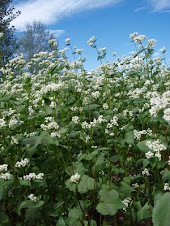 Garlic in the field- we enrich the soil with cover crops including buckwheat, rye, wheat, oats, peas, millet and sorghum. Every other year the garlic field is "fallow" and planted with these crops. We also till in some composted llama manure 3 weeks before planting. All garlic "seed" is organically grown. No pesticides or herbicides are ever used. No chemicals at all are used. 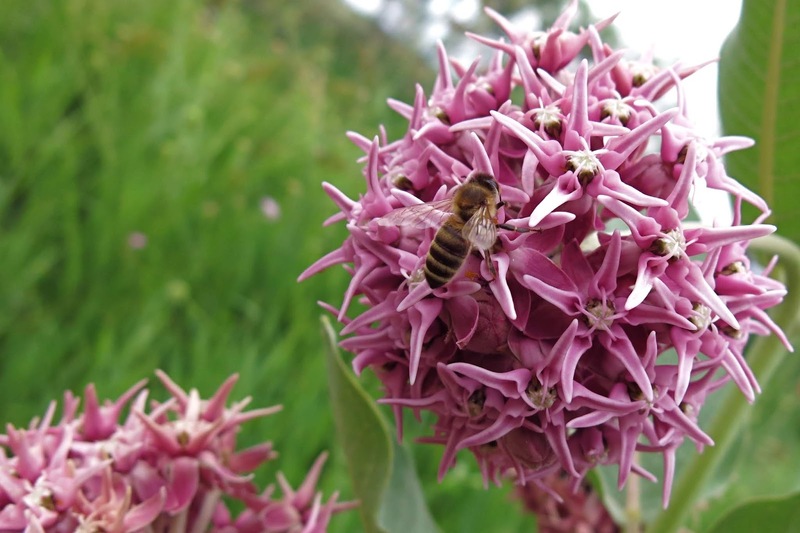 We use organic seed for our cover crops to avoid pesticide residue that may harm pollinators. We have honey bees on the farm and are very conscious of the effects of the newer long-lasting neonicitinoid class of pesticide. 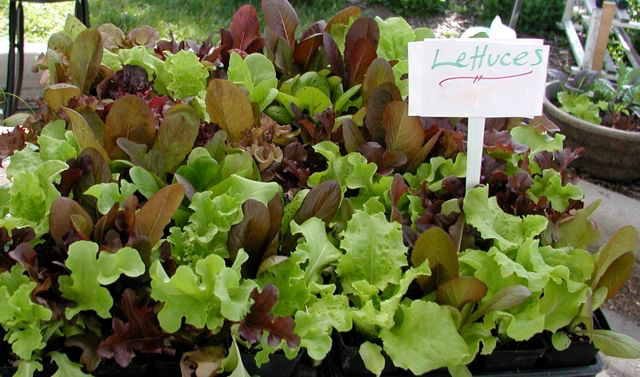 Plants for sale in Spring- For seed starting we start with organic potting soil, mixed with worm castings for good bacteria. 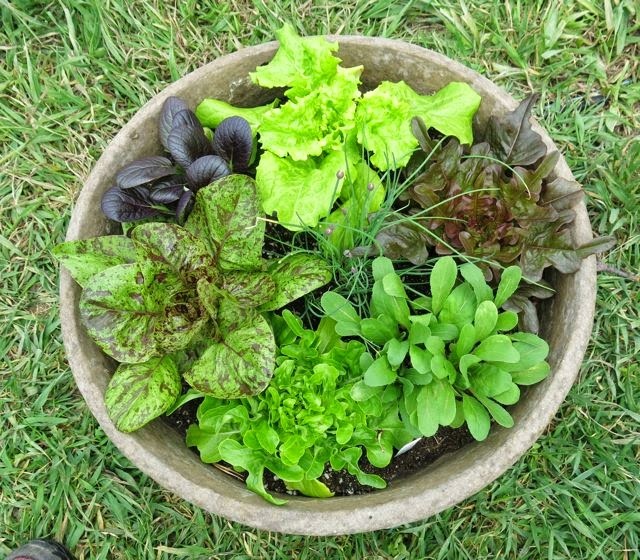 When potting up we add in our garden compost or llama/ goat compost. The seeds we buy are mostly organic, with very few exceptions. (Many certified organic growers don't use organic seeds, so it's always good to ask.) We never use Genetically modified seeds or treated seeds or even non-gmo seeds owned by Monsanto. For fertilizer we mostly rely on our homemade compost. Also we use worm castings for our pepper and tomato plants that we test for herbicide residue first, and sometimes our own compost tea. For our compost we use only manure from our own animals which have been fed hay with no herbicide or pesticides, and organic food scraps and other organic feed. 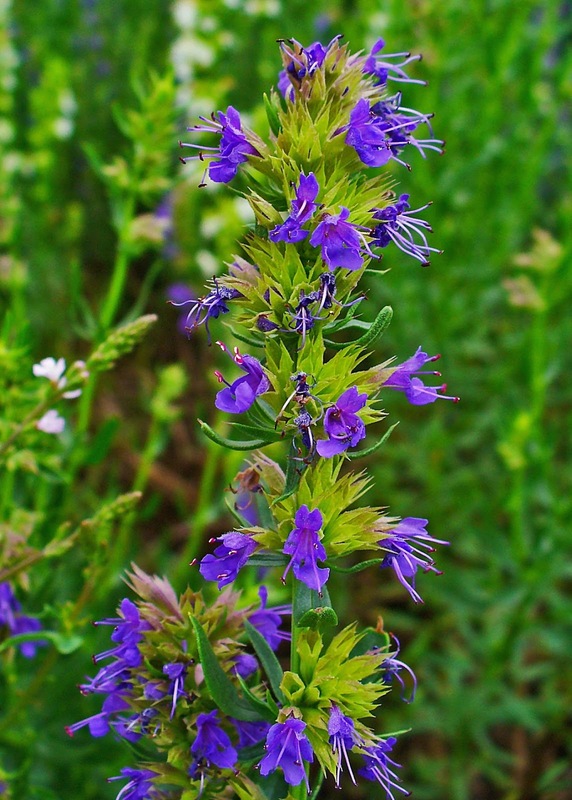 This is to avoid any residual contamination from long- lasting herbicides that could harm the plants and long-lasting pesticides that could harm the pollinators that gather pollen from the plants.